My wife and I were looking on her Instagram, a page she follows keeps advertising "Seed Vaults". I'm sure we've all seen these floating around the internet. "30,000 seeds to plant your own survival garden when the SHTF". Some have more than that, boasting over 300,000 seeds at some staggering prices (nearly $1,000 but it does come in a nice ammo tin!). Some of these boxes talk a lot of sense, they come with a growing manual and state that all seeds are open pollinated. But if you think for a second that having a big box of seeds is the secret to growing enough food to feed your family then you are very much mistaken! Anyone that gardens at all will tell you how hard it is to be a consistent producer, if it came to a time when it really mattered it would be even harder. Having the seeds is such a small piece of the jigsaw that is growing your own food. You need to have the space, although I guess you could find somewhere and guerrilla garden them. The knowledge to be able to save the seeds from the plants you're growing. The ability to produce and store you harvest. But that's almost besides the point I was getting at, when you look at what some of these seed vaults contain they'd never feed you anyway. One I looked at had 3000 celery seeds and only 15-20 bean seeds! I'd want a lot more beans than that in my larder, but I guess I could make celery soup or something! You need to look at growing carbs and protein to keep you going and then other veggies to keep you healthy. Then there's the viability issue, having a seed vault in storage doesn't mean they're all going to grow. 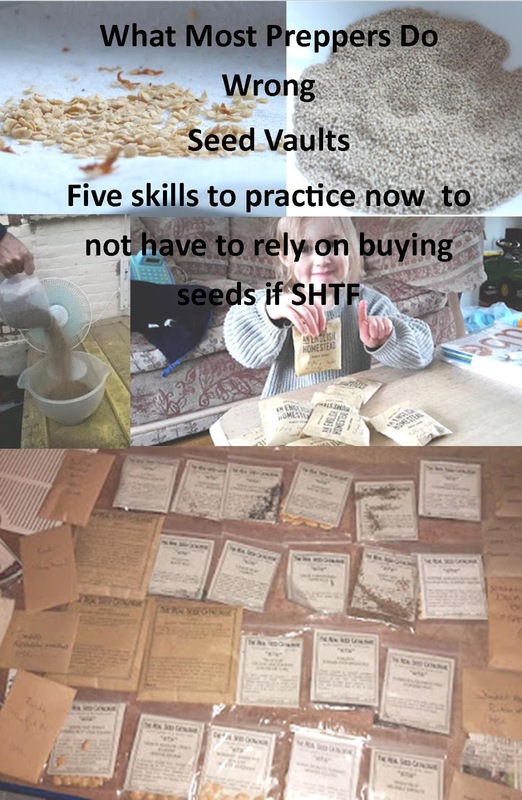 Some seed lasts much longer than others, the only way to really guarantee that you can grow everything is to grow it every year and either buy new seed or save seed. I don't even do this myself, I take the risk and use seed that is a few years old, most of the time it works but then sometimes it doesn't and in a situation where you're relying on your harvest that could have some serious consequences! Also you want to grow from seeds that are suitable to your area, like the melon I posted earlier in the week, it would be no good planting crops where the seed has been adapted to grow in a much hotter and drier climate than your own or took too long to mature before frosts set in again. I for one like to garden every year and improve my skills, who knows one day that set of skills might be very useful! Am I wrong and storing a seed vault is a good idea? kev - those seed vault thingies drive me nuts!!! but worse is the people who buy them and then store them for when SHTF and believe that they will just go and sprinkle seeds on the ground and then magically "grow food" for their families...if it was that easy wouldn't everyone just be out sprinkling seeds on the ground in june??? i think those seed vaults bring some people a sense of comfort...which is sad. because if you have never planted a seed and then had to care for it - you have no idea what you are up against. it is hard work growing food - and there are so many variables like you mention - such as soil, maintenance, disease, etc. - it takes years to truly understand what you are doing. and then mother nature always steps in and throws a curve ball - a much wetter or drier season than normal just to keep you on your toes. 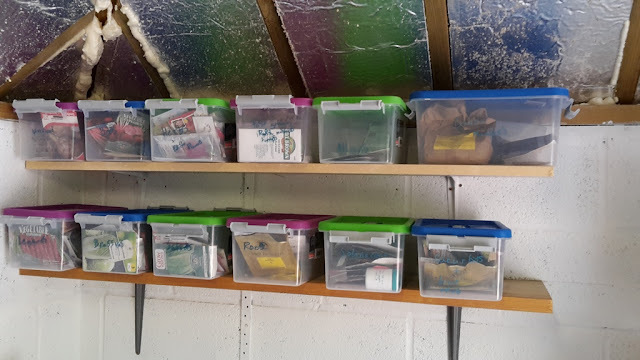 i know people who have been storing seeds for upwards past 10 years...and they think when it all goes to heck in a handbasket that they will just sprinkle their magic seeds and "grow food". good luck with that. Kev I agree with you, unless we grow our seeds, we will not allow them to acclimatise to the conditions in which we live. I also find they seem to acquire added vitality as they acclimatise and it seems that they will germinate earlier or more strongly, than seed bought in. I also believe that our connection to the land increases as we eat food that has grown on that land, even if it is only sprouts we have grown ourselves.What ever we can grow helps. After all we do not all have the garden space we would like. Great post. I agree there is a lot more to growing than a packet of seeds. What a waste of money. I have seeds. Just because you plant it, doesn't mean it will grow.. If you have no experience with gardening or how the soil is for sustaining plants, good luck with it. I'm annoyed by the SHTF types. They've always got a boogey man somewhere around the next corner who is out to get them and collapse Western Civilization. Then they seem to think they can live solo without being part of an actual social structure. Hmmmfff. A missing theme in self reliance, which I'm a major believer in! - is pleasure. Not only is it good to be able to be as self reliant as possible, it is pleasurable; it is fun. The food is gourmet quality, not just survivalist grade. The exercise is enjoyable as well as being productive. The world is just an all around better place for having been a good part of it. And we eat so well. We save seeds, make our own, and make do whereever we can. I'm not worried about the boogey man getting me - and I'm not falling for a con-man's pitch about selling me an expensive bucket of out of date seeds, either. Good for you. I absolutely agree with everything said here. What amuses me about extreme preppers is that, let's face facts here, in an extreme SHTF collapse situation, you're not going to be baking bread with your stockpile of flour, gathering eggs and growing melons in your yard. You're going to be hiding the chickens in your basement, eating canned beans and hoping you own a gun to protect your bean stash. It's not going to be Little House on the Prairie. I've always maintained that being prepared involves gaining skills, which include how to grow things, save seed etc. Anyone can purchase "prepping" stuff, less than useless come the day if it is mismanaged/used or wasted. Oh, Kev, you've listed all the down-to-earth, sensible points regarding having garden seeds in a vault or freezer or in some way on hand for an emergency. It would be like me (very unmechanically minded) saying that since I have a fully stocked tool box, I could repair the transmission in our truck should something go wrong with it. To be prepared, you have to be experienced. Great post.